I’m in a little bit of shock right now: thinking about how we’re pretty much halfway through 2018 already! And for all of my fellow residents of the US of A, Independence Day is right around the corner (how crazy is that?). 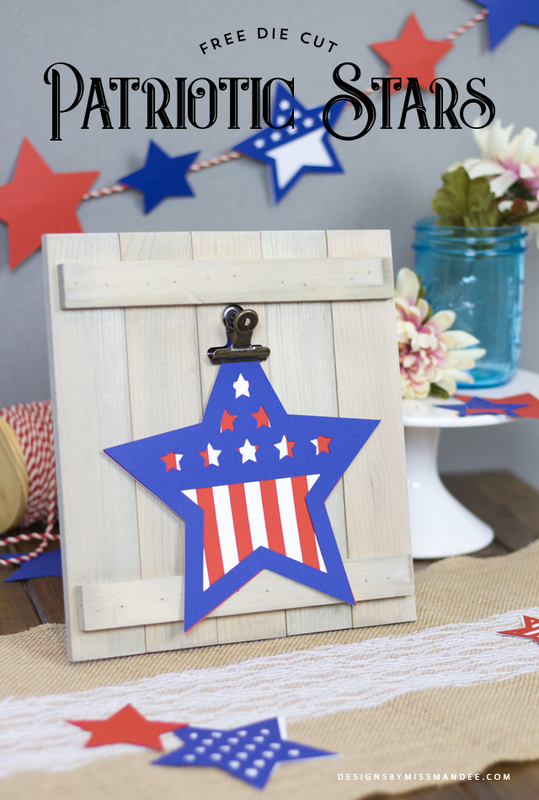 So, if you’re looking for a fun and easy way to decorate or commemorate the occasion, look no further than these super cute, die cut patriotic stars! While I enjoy celebrating the 4th of July, it’s usually a pretty low-key holiday at our house. But, for my 4-year-old, there’s no such thing as a “low-key holiday.” All holidays hold equal weight in his eyes, and he has certain expectations. Namely: build-up to the event, fun activities, and decorations. So, I decided to create these simple little stars to fulfill the third qualification on that list. Davian loves to craft and be a part of the creation process, so I figured this would be a fun and simple way to get him involved. He loves pressing the “Go” button on my Cricut and watching it cut out the shapes. And he had a lot of fun helping me decide which stars should be used for what. As much as I love testing the limits with complex die cut designs, I also enjoy the versatility of simple designs like this. We were able to make decorations for our table, the front door, and even a cute little bunting. I use a Cricut Explore to do my die cut designs, and I absolutely love it! For tips on creating fun paper cuts like this one, see the FAQ section on my website. Also, be sure to check out the other awesome Independence Day freebies available on my blog! 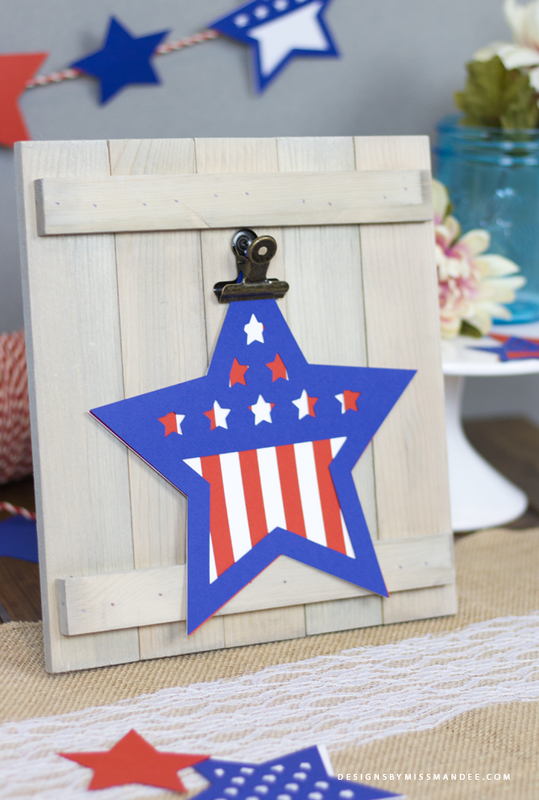 Have a happy Independence Day, and enjoy these die cut patriotic stars! Do you think you’ll use these for decorations, or do you have other fun ways you’d like to implement these designs? 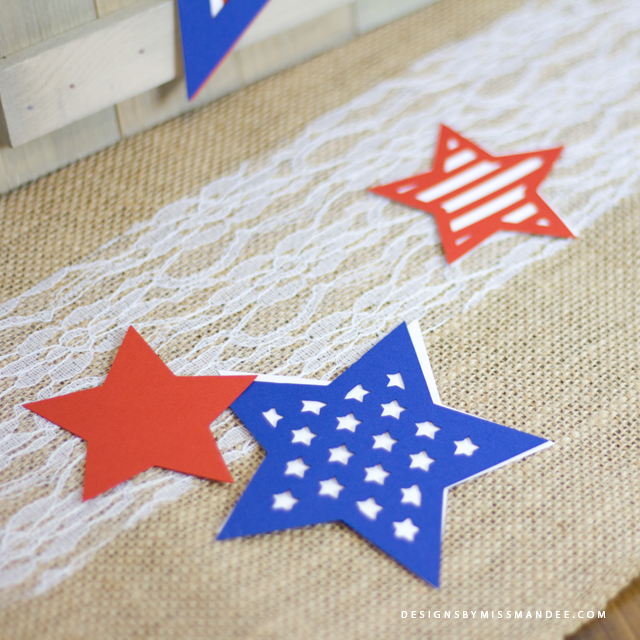 Hi, what font is “patriotic stars?” thank you! I really like these, better than most that I have seen. Thank you! Thank you Susan! Hope you had a Happy 4th! !